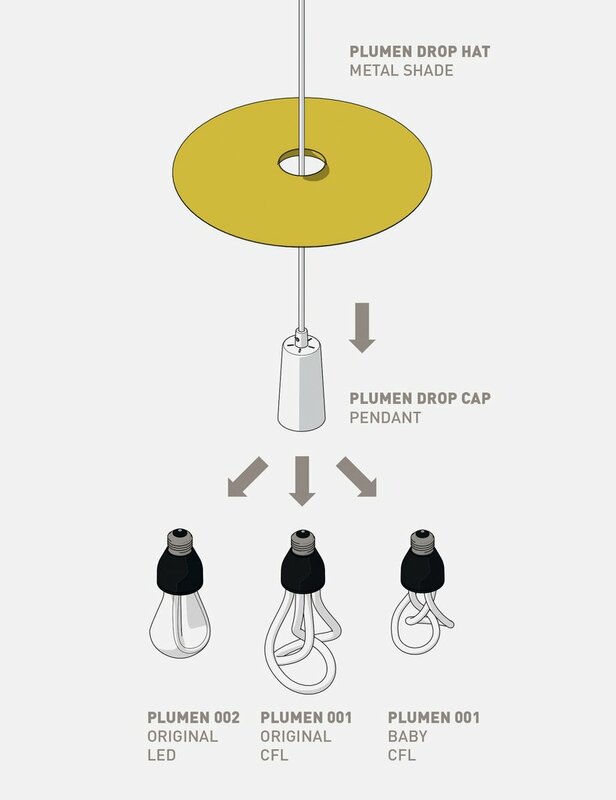 We Love Our Plumen Drop Hat Pendant Shades with Warm, Dimmable LED Bulbs! The light bulb market in America is ever-changing and complicated due to shifting regulations. 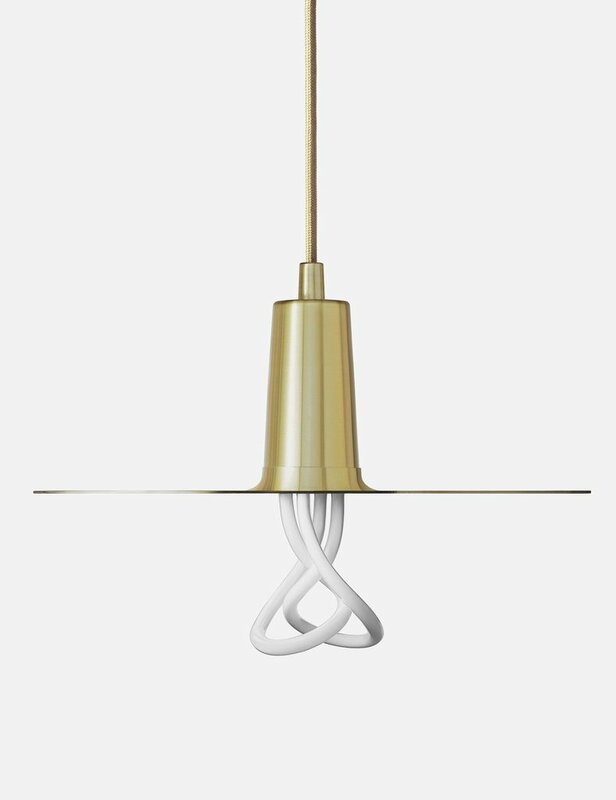 Even though the U.S. Energy Independence and Security Act of 2007 sought to enforce the phase-out of incandescent lightbulbs, setting standards which LED and CFL lightbulbs already met but which incandescent light bulbs did not, it has since been undercut by congress. While it is upsetting that incandescent light bulbs are still on the market in 2016, there have still been positive effects of the 2007 Energy Act on the lightbulb market itself. One such effect is that the cost of buying and owning LEDs has improved. According to energy.gov, LED lightbulbs “typically use about 25%-80% less energy than traditional incandescents, saving you money.” In LifeEdited 2 Graham wanted to create a warm and uplifting aesthetic that was simple but not too “white box,” and with as much energy saving qualities as possible. 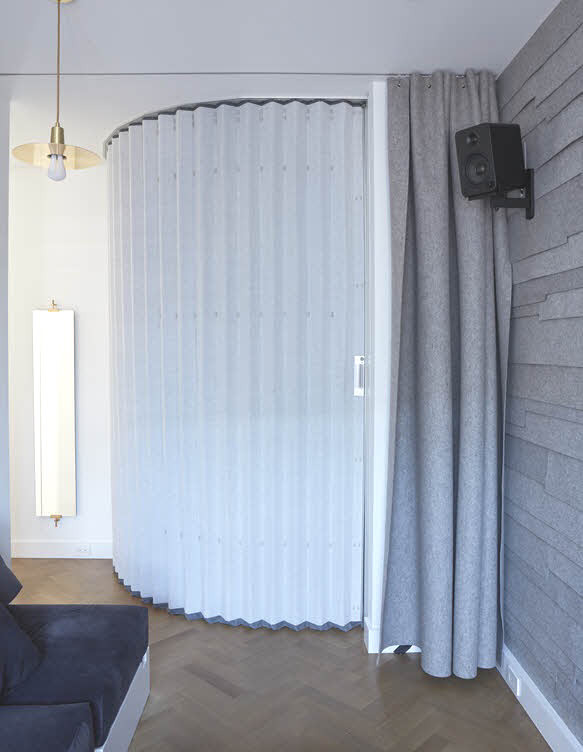 One of the ways he added color and texture to the space was with the addition of Plumen LED bulbs with elegant brushed brass Drop Hat Pendant Shades. 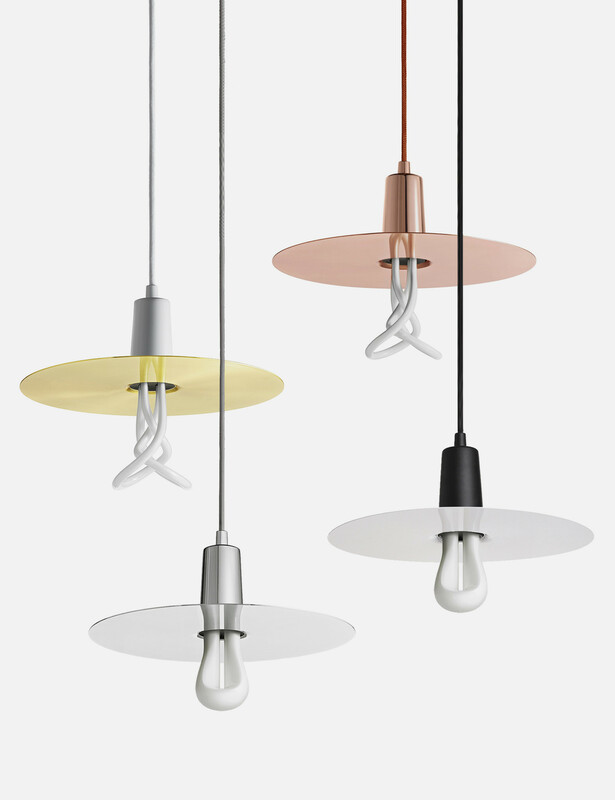 Not only is the light produced by LE2’s Plumen LED bulbs an elegant soft yellow, but all of the fixtures are remote controlled via Insteon’s smartphone app. 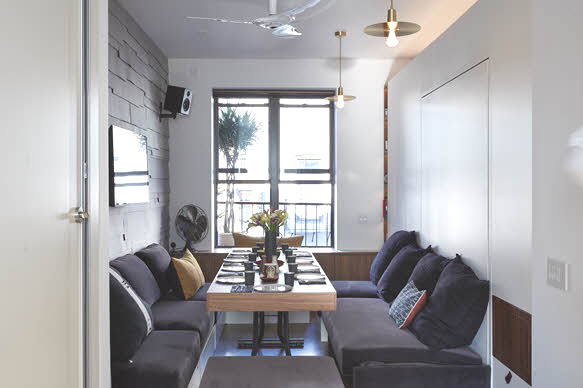 Insteon creates easy to use energy saving settings and encourages the apartment dweller to use only the lighting “scenes” that are appropriate for their needs. e.g. 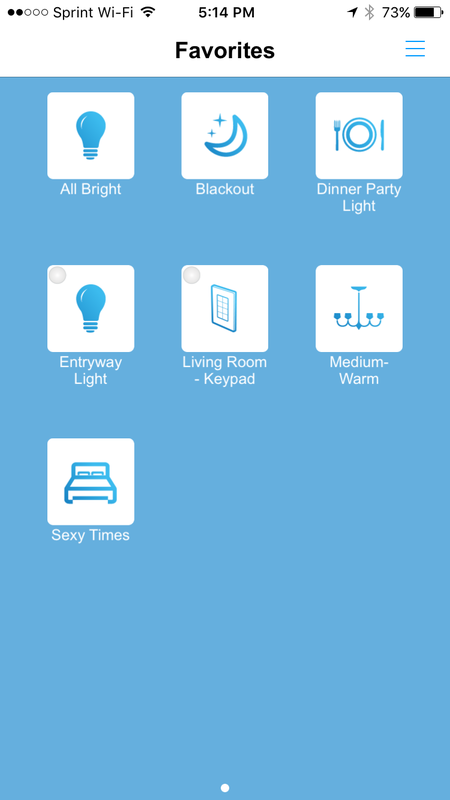 fully on for cleaning, only a few on dimmers for late at night, etc..
To learn more about how to save energy and cut costs, read this article about when to turn off your lights. 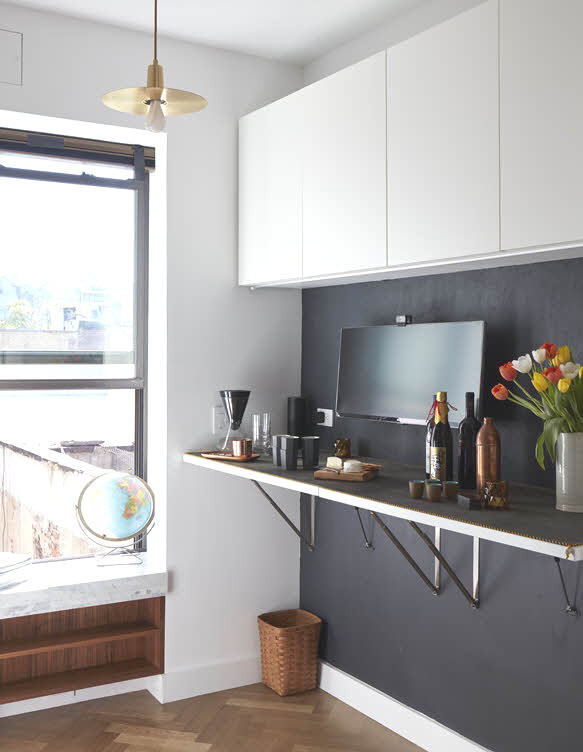 This post is one in a series that describes our LifeEdited 2 showcase apartment. LifeEdited 2 embodies our green, space efficient, and minimalist principles. We view LifeEdited 2 as a lab for experiencing things that are consistent with these principles. The product described in this post was given to us, which we appreciate, but we would not have accepted if we didn’t believe in it.